She was a passenger in a blue Ford Mondeo travelling north when it was involved in a collision with a blue BMW 730 travelling in the opposite direction around 3pm on May 20) She was sadly pronounced dead at the scene. Her 83 year-old husband, who was driving the car, was airlifted to Addenbrookes Hospital in Cambridge with serious injuries. The driver of the BMW, a local man in his 50s, was treated at Peterborough hospital for less serious injuries and discharged the same day. The collision also involved a black Peugeot 207, which was stationary at a junction at the time. The female driver of the Peugeot was checked over at Pilgrim Hospital in Boston. Collision investigators are appealing for further witnesses who saw the incident, or who saw either the blue Mondeo or the blue BMW prior to the collision. 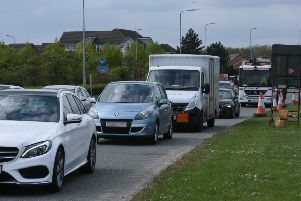 Anyone with information should contact Lincolnshire Police on 101 or call the Collision Witness Hotline on 01522 558855.